Over the years my levels of exercise has decreased and I have found that my flexibility has also diminished. Every now and then I go on a campaign to get fit, but the last effort resulted in a torn tendon in my foot which saw me spend the first part of my holiday to the US and Europe, in a wheelchair. The program consisted of going for a walk and doing fast sprints up hills. Obviously my body decided this wasn’t what it wanted to do. And the fact that I didn’t do a proper warm up would have had something to do with the outcome. Well I’ve made the decision to not have this sort of problem in the future so Paula and I have embarked on a program that suits us both. This is the Kundalini Yoga: A Complete Course for Beginners. 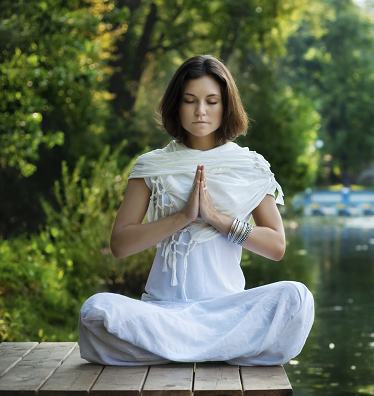 So What is Kundalini Yoga? 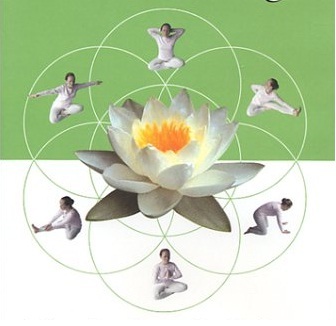 Kundalini yoga is known as the Yoga of Awareness and it is a comprehensive practice of yoga that combines meditation, physical exercises, breathing techniques and mantras. Our teacher on the DVD is Nirvair Khalsa who studied for many, many years under Yogi Bhajan. He is easy to listen to, is very thorough in showing the correct technique for each pose and explains everything in detail. There are parts where he tells a few anecdotes that you can simply skip over when playing the disc through again. Kundalini literally means “the curl of the lock of hair of the beloved” and alludes to the flow of energy and consciousness that exists within all of us. The object is to awaken the power of an individual to excel and fulfill their personal destiny. All this will no doubt come to me in time but what I want right now is the benefit of a program that will help me with flexibility as well and this is what I am finding with Kundalini Yoga. Day 1: We popped the first dvd on and settled back to watch the introduction. Okay so far so good. OOPs now we need to start some gentle stretching and are introduced to slow, deep breathing. Nothing too demanding. Of course there is a bit of reaction in some of my joints but nothing painful or unbearable. Remember, this body hasn’t been strenuously tested for many moons. At the end of day 1 I am comfortable with what has been achieved and I’m really looking forward to day 2. A bit of a twinge in the joints on waking, nothing intense and it passes as soon as I start moving about. So after we have done our daily gratitude journal we pop in the 2nd disc which starts with simple stretching and breathing exercises. These are a little more intense than day 1, so we have decided to do the Part 1 exercises for a few more days. The stretches certainly reach deep into the muscles and joints and I am unable to completely master some of exercises just yet but even as I am doing them I can feel the flow of energy making it easier with each passing minute. The deep breathing exercises help to relax the muscles making it easier to stretch longer and deeper. So all in all a good day. See how I front up tomorrow. Feeling great, so I decided to try something a little more intense. I put on the weight loss disc. Hmm, not quite flexible enough to tackle some of the routine but I’m reasonably happy with how I have gone when I get to the end. I have to say that I am really enjoying this Kundalini Yoga course and I am already starting to feel an improvement in my flexibility. Well today didn’t go quite as well for either of us. For some inexplicable reason both Paula and I felt lethargic, and I definitely wasn’t quite at the top of my game. Everything was an effort to do. I think my body has just realised that this is an ongoing exercise and decided to rebel. Nevertheless I persevered and pushed through the twinge barrier. I dDidn’t feel quite as refreshed and invigorated at the end of the session but I’m looking forward to tomorrow as I firmly believe that the more I continue the better and easier it will get. I love the music that plays during the exercises we went searching the net for it and found it on youtube. The piece is called “Rakhe Rakhanha’ by Singh Kaur, a woman with a truly beautiful voice. This piece of music is ideal for doing yoga or meditation. I will keep you posted with my progression over the coming weeks, I have to say I am excited. We have been continuing with our sessions on and off over the past few months. We are both feeling really great and I have noticed a marked improvement in my flexibility. And even when we take a few days off for whatever reason, it is never as hard to do as when we first started. I will definitely keep doing these sessions.